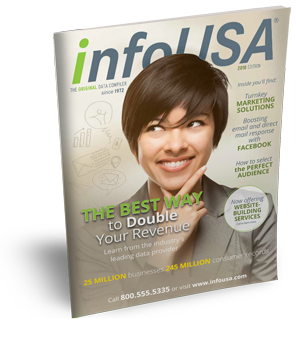 Request your free catalog today to discover all the ways InfoUSA can help you grow your business. Complete the form and we'll send a copy right away. We compile and verify our data in-house, investing more than $20 million and placing 24 million phone calls a year. If you receive any bad data, we will refund your money, no questions asked! ©2019 Inc. All rights reserved.